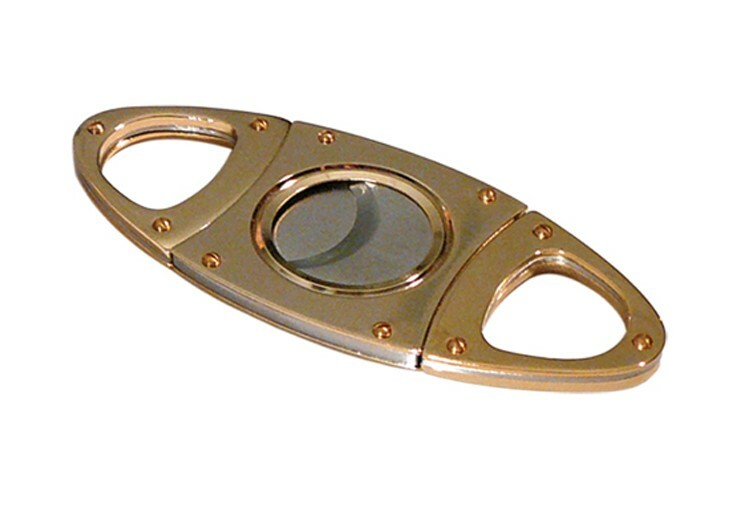 Beautiful stainless and brass double-guillotine cigar cutter. Beautiful stainless and brass double-guillotine cigar cutter. The Highland Deluxe Guillotine is truly one of the finer guillotine-style cutters on the market. Gold color with brass rivets, the Highland Deluxe Guillotine – Gold has two sliding stainless steel blades that are self-sharpening.